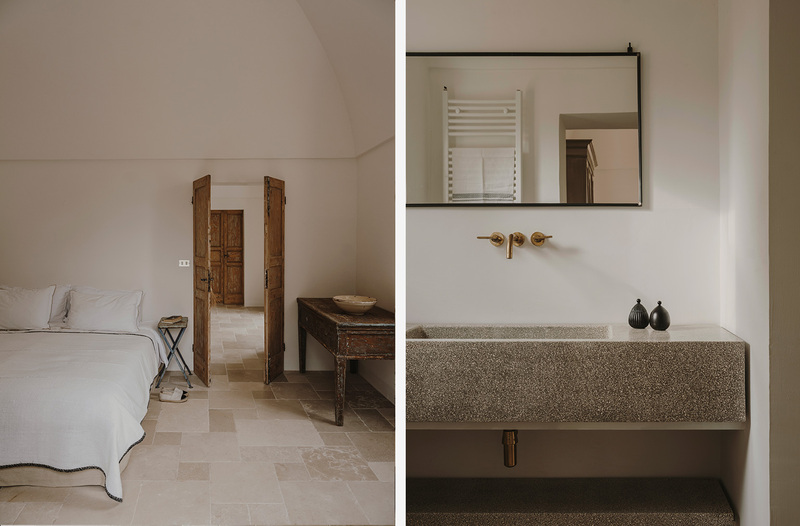 Designer Andrew Trotter has overhauled a 1920s villa in the Puglia countryside, designing minimal, muted interiors that reflect the home’s peaceful surroundings. 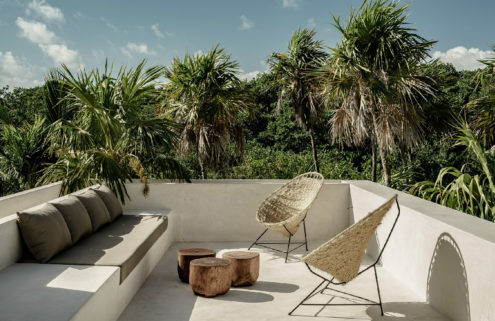 The three-bedroom Puglian holiday home is an overseas escape for a British couple, who tasked Trotter with ripping out the villa’s outdated 1980s interiors, and replacing them with something ‘comfy, clean and livable but with an edge of sophistication’. 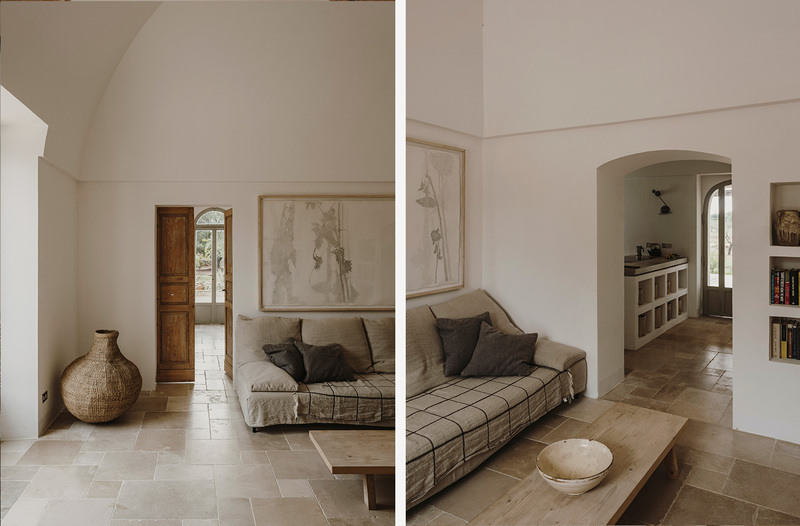 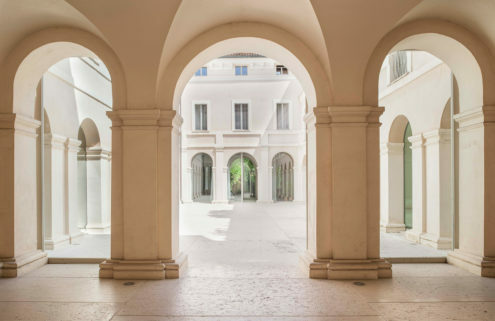 Trotter wanted to create a relaxed atmosphere inside Villa Castelluccio, and paired the couple’s own art collection with linen sofas, simple light fittings, and pared back pieces of furniture. 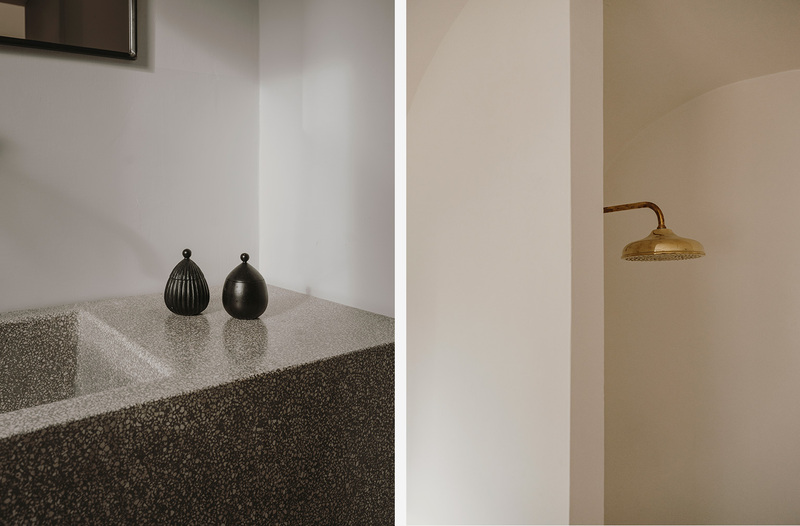 For the kitchen and bathroom, he commissioned local craftsmen to create concrete sinks and countertops, complemented by brass fittings. 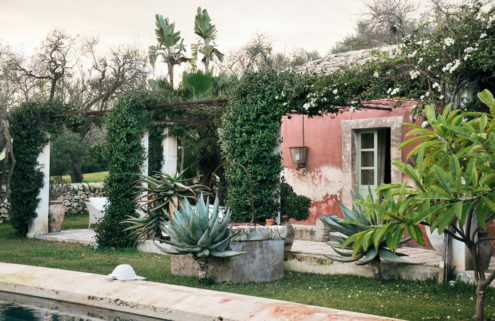 The kitchen opens directly onto the garden, which includes a pool, an outdoor dining area, and several olive trees. 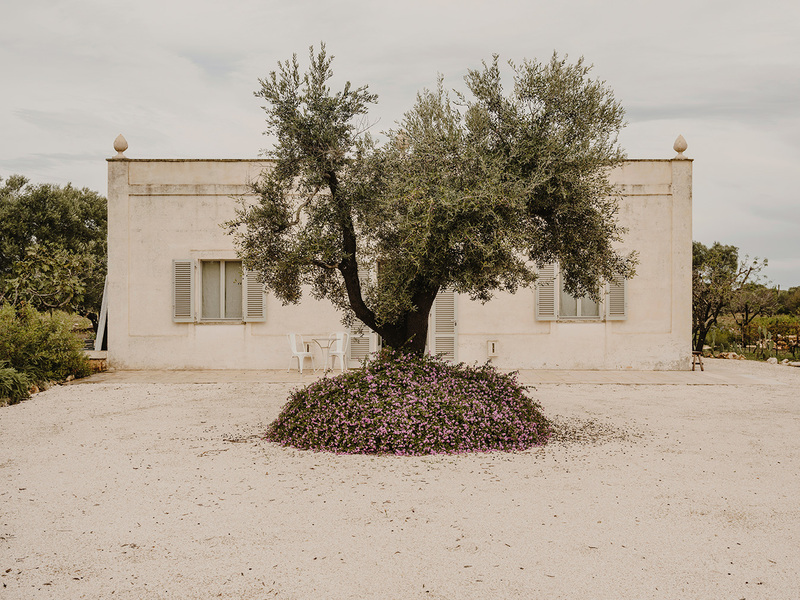 Villa Castelluccio – available to rent from Moroseta Villas upon inquiry – is one of several projects Trotter has worked on in Puglia, including farmhouse turned rural retreat Masseria Moreseta. 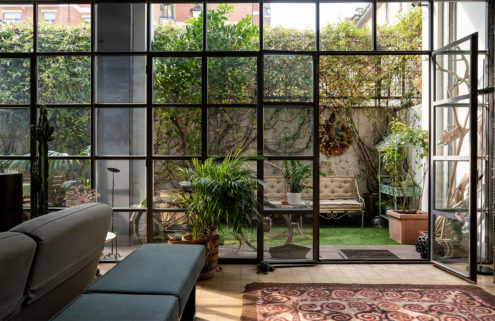 He says he plans to build his own home there eventually.